Gin, for history and for world disciplinaries, can be produced only and exclusively with Juniperus Communis, the one we call Juniper, but that we should indicate more precisely as Common Juniper. 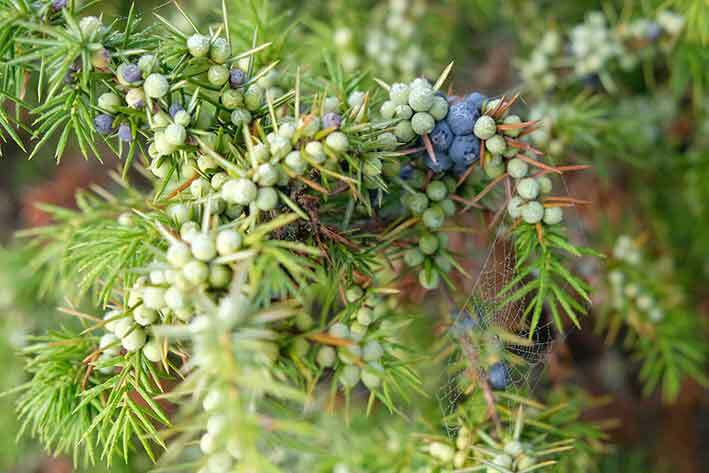 The current legislation speaks about “predominant flavor” that must be conferred by the Common Juniper. 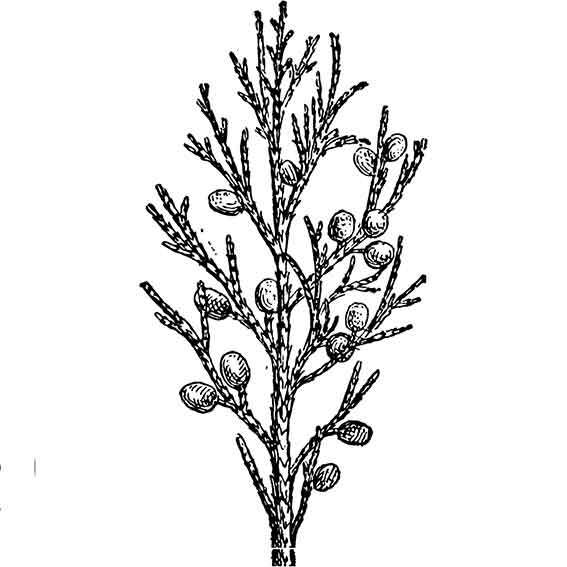 Other species of Juniper (Oxycedrus or Californica for example, but there are ornamental varieties not yet organoleptically studied, such as Juniperus Mint Julep, or others to be excluded just for the name, like Juniperus Foetidissima), can be included in the recipes of Gin like the others “botanicals”: they can have an important position, but they must not, by law and custom, ever cover the aroma of Common Juniper. Having fixed this starting point, as the basis of the Gin and of what I want to talk about with this article / invective, we understand how the knowledge about the Juniperus Communis is fundamental in this industry. We expect a similar attention to the other raw materials of the others “noble distillates” towards the Common Juniper, but confusion reigns supreme, and inaccuracies abound everywhere, even in places that should be the temples of this knowledge. 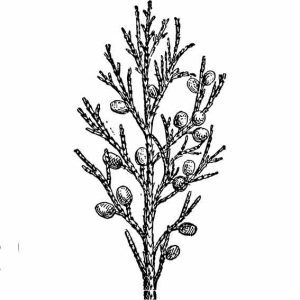 Juniperus Communis’ iconography is often wrong: there are dozens of juniper varieties, some POISON (so NEVER taste a juniper “berry” without having the certainty that it is edible), some very interesting as Gin ingredients, but the Common Juniper is one alone. Could it be possible that a London based association (without naming it) of manufacturers of Gin has the wrong juniper as its logo? Also in London, one of the historic centuries-old Gin-dinasty, in its distillery open to the public, in the room dedicated to the botanicals that traditionally make up its Gin, you tell me, they have guessed the right photo of Juniper, yes? This inattention, could lead, in extreme cases, that someone in front of a NON-COMMON Juniper is induced to taste the berries, because of this wrong iconography. You who read, you will never understand my embarrassment to be the first to write about this, but sooner or later we have to come to terms with it. To do this, just go back to the basics, to the Common Juniper. Going on mountains up to about 1500 meters, it should be easy in every latitude to meet some specimens of Common Juniper. Get closer to observe and gently caress the thorny needles of its leaves, note the different color of berries (to be taxonomically precise, we should talk about pine cones, not berries). The Juniperus Communis fruit takes two years to fully mature. The peculiarity is that each branch bears ripe fruit and fruit of a year, without any separation. A mechanical method that easily collects them (such as those used for grapes, olives, nuts, etc.) is impossible, there would be no possibility to differentiate the various stages of maturation. So the human element is fundamental, as well as the workers who, on impervious mountain terrain, wander miles every day to collect the common juniper. 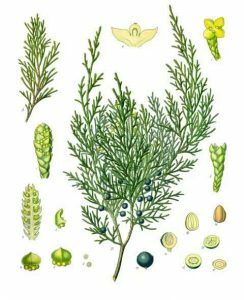 So the starting point to produce the Gin, the Common Juniper, grows only in the “wild”: there are some examples of intensive cultivation of Juniperus Communis, but another particularity of this plant so full of life and flavors, is that it differs even sexually. There are female and male junipers. Only females are able to grow cones, the males are essential for fertilization. So it would take a feminized Juniperus Communis plantation, and some technique to make plants productive. (Does it reminds also to you the “sensimilla” and all the industry that they have built on it? You should do the opposite: make sure that the “seeds” of Juniper grow on feminized plants). The consumption of Gin in the last 10 years has exploded everywhere, as well as the requirement of stabilized Common Juniper to “rectify” the basic alcohol so to get to the final product. The current offer comes from Eastern European countries, where obviously the manpower to send for harvesting is so cheap that it bears the low costs / kg of Common Juniper. For centuries, Italy has been the supply basin of the United Kingdom for the Common Juniper, from here hundreds of tons are shipped every year. Italian Juniper’s presence is distributed on all continents, where the association Juniper-Italy serves to highlight the quality. A tradition to be preserved and a topic to be explored. In the whole world, attention is paid to the often mistreated Juniperus Communis, a plant that has been accompanying man historically for millennia, and that the general public has rediscovered in the last years within the Gin & Tonic for the most part. Countless scientific treaties today study the chemical composition of Juniper (not just the Common): all components are analyzed, from essential oils, to the properties of the cones and wood. Known since ancient times for its antiseptic and antifungal function, mainly due to the presence of Terpinen-4-ol. Today we are researching how to exploit these properties in agriculture on a large scale to produce zero-impact fungicides. Searching on the Internet, there are dozens of medical treaties on this topic, coming from everywhere, especially from the Balkans, where they will evidently be studying these endemic plants. The problem, in my opinion, is that these researches are unrelated to the Gin industry, there is no synergy and no valorisation / protection of the Juniperus Communis. With the population of the United Kingdom of Common Juniper in danger of extinction, due to the intensive breeding and diseases typical of the Cupressaceae, the botanical family in which it is inserted, there is certainly to pay attention to the global health of this tree. 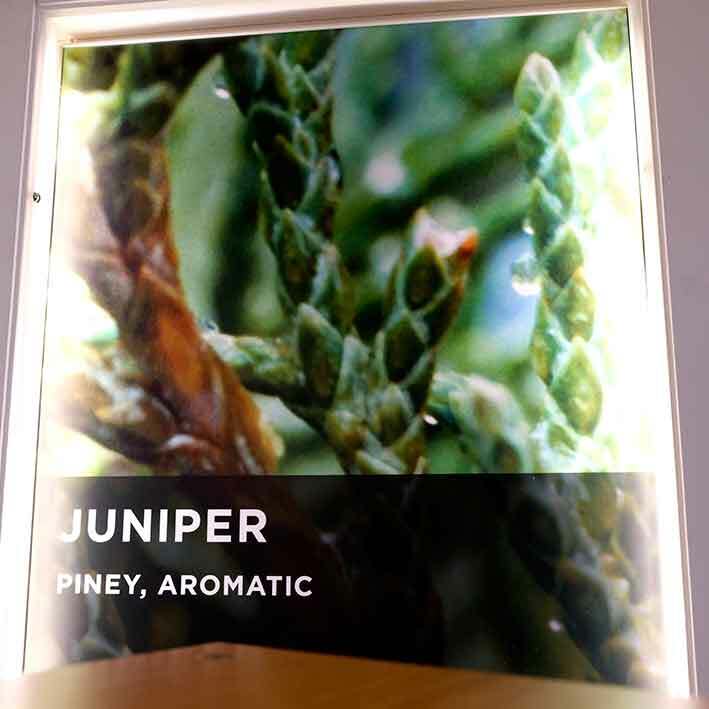 Spectrum analyzes photograph the aromatic components of Common Juniper: different and not always pleasant, through them it is possible to understand the different flavors of the Common Juniper varieties that come from different places. The “terroir” of the Common Juniper can be measured exactly: for example, the east-European one is richer in limonene, the component that gives citricity. This fact makes it practically impossible to define uniquely the flavor of Juniper (Common). Each area expresses its own. Going for Juniper in the wild, this fact is evident and at a distance of even a few tens of kilometers, these differences are already evident by nose in a marked way. 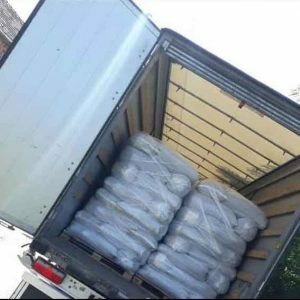 We need more studies on Common Juniper, possibly financed by the Gin industry, we need more knowledge on the part of the operators about the raw material that is so making their fortune today. 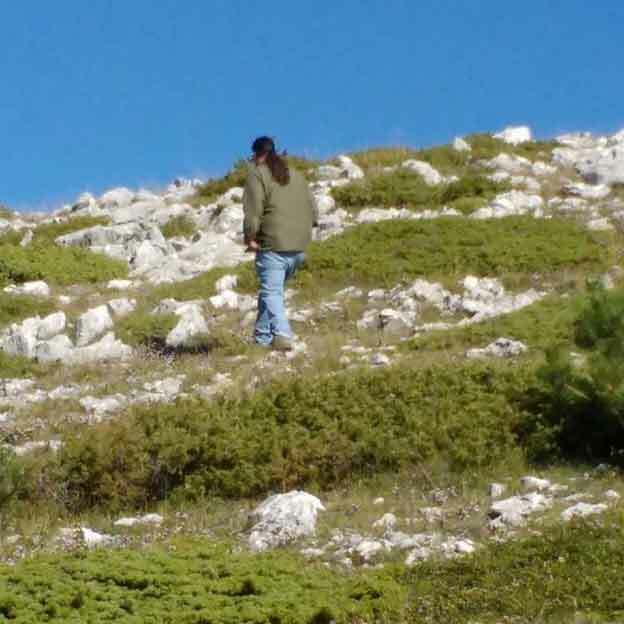 Without going back to the foundations of this spirit, without returning to the Common Juniper, what is being built will be lost, just as the world population of the Juniperus Communis and all the local sectors that generate richness everywhere are at risk. And there is a need for the final consumer to know how difficult it is to collect the Common Juniper, how well it does to the people who dedicate themselves to it, so that they can choose to reward those brands that are able to work better on this topic.